Very little change from last week. FOX: The 2-episode GOTHAM season finale was at 0.9/0.9, down 0.1 from last week, but down 0.3 from the 2016 finale (which aired in the regular season). 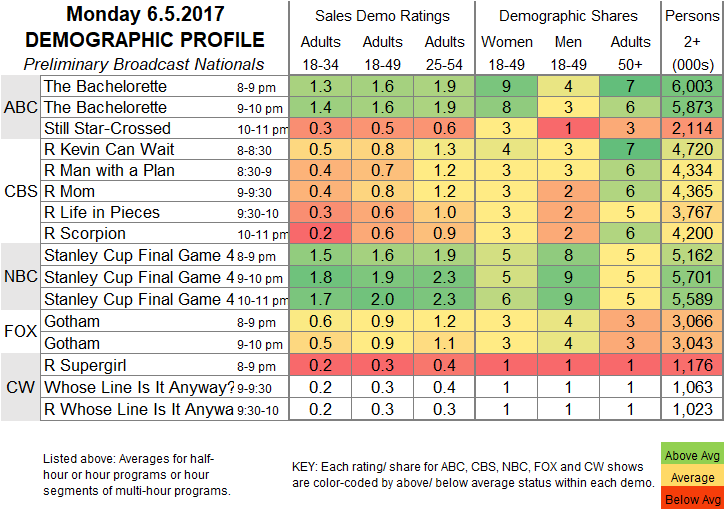 ABC: THE BACHELORETTE rose 0.1 to 1.6, but STILL STAR-CROSSED stayed at 0.5. 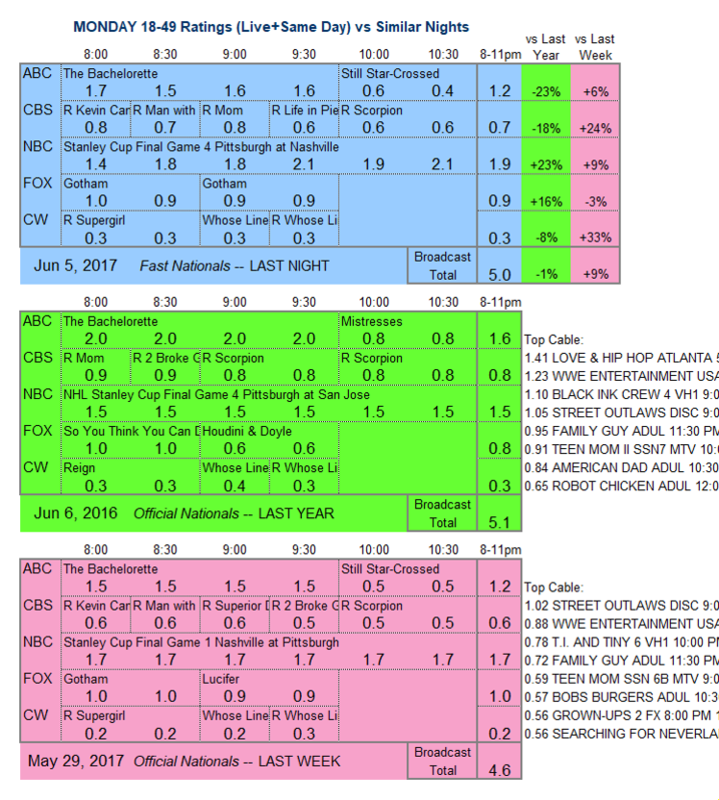 NBC: Game 4 of the STANLEY CUP FINALS had a preliminary 1.9, up 0.2 from the early number for last week’s Game 1. CW: A new WHOSE LINE IS IT ANYWAY was up 0.1 from last week’s episode to 0.3, putting it at the same level as the reruns that sandwiched it. Stand-up comic Jim Jefferies moves operations from FX to Comedy Central for his new venture, simply titled THE JIM JEFFERIES SHOW.